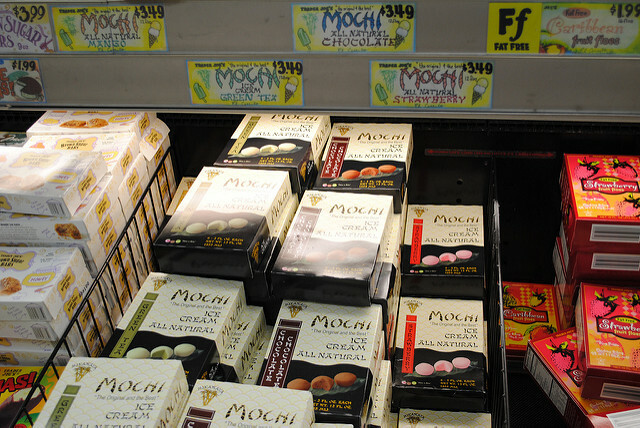 Just when you think Whole Foods can’t get any better, they go ahead and introduce a brand new concept… Self-Serve Mochi Ice Cream Bars! If you are scratching your head with curiosity, Mochi is a Japanese dessert made by covering little balls of ice cream with pounded sticky rice (although Whole Foods seems to be using wheat flour instead). Do you love ice cream? Yeah, then you MUST try this!!! Want to know your Mochi flavor choices? Whole Foods will carry everything from typical flavors (chocolate, I’m looking at you!) to lychee. But the great thing about the self-serve bar concept is that you can pick as many flavors as you would like. Heck, try them all! Nobody is judging!